Perhaps you have a university degree which by all standard is an achievement and you are resting on your oars, Vice President Yemi Osinbajo has some advice for you. He does not want to you to rely your certificate alone because it rarely translates to success in life. Osinbajo spoke at the 10th convocation of the Lead City University, Ibadan where 590 students were awarded first degree certificates in various disciplines on Thursday. Among them, 39 students graduated in the first class category. Miss Mary Olukorede was adjudged the best graduating female while Amedu Anthony was announced as the best graduating male student. 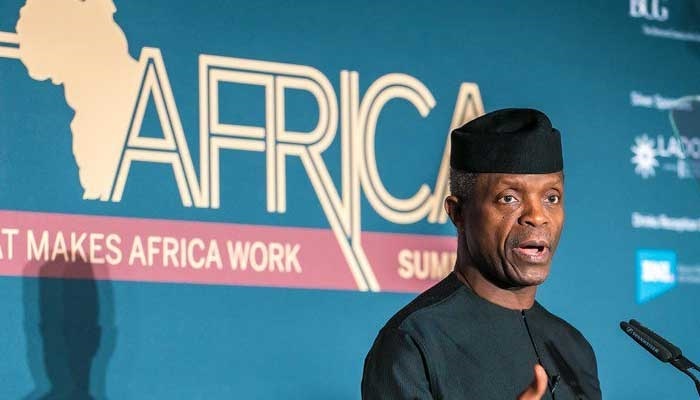 Osinbajo, who was the special guest at the ceremony, said, “I was 60 years old in March this year, and I must confess that one of the greatest surprises I ever experienced was that I just suddenly became 60. I can clearly remember when I graduated from the university. I was 21 years old at the time. How time flies. “By talent, a good degree and coming from a very well-to-do family does not bring success and certainly it does not bring greatness. The most talented people, those who get the best degrees do not necessarily become the most successful in life.